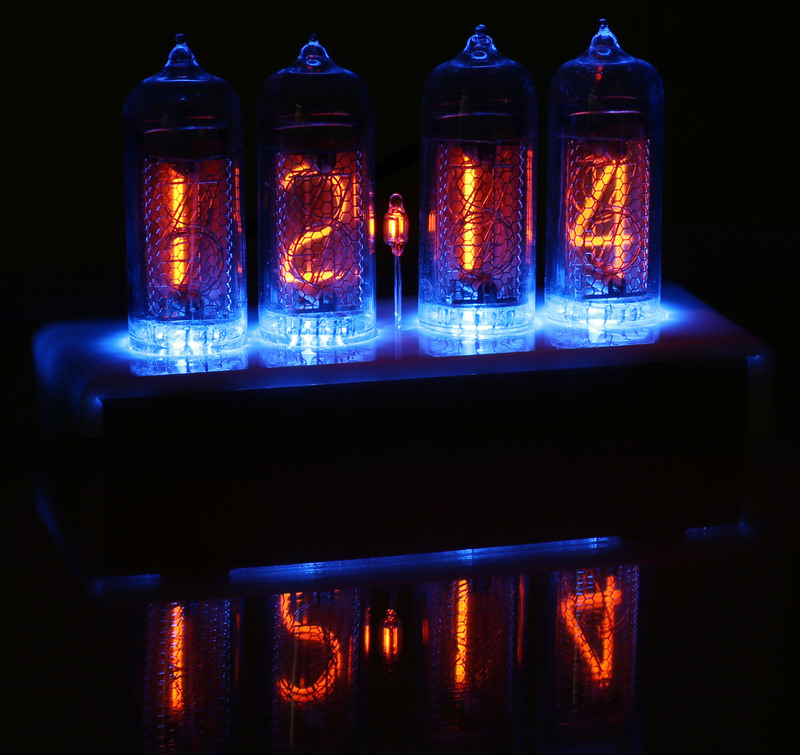 Finally, a nixie clock that is attractive and affordable. 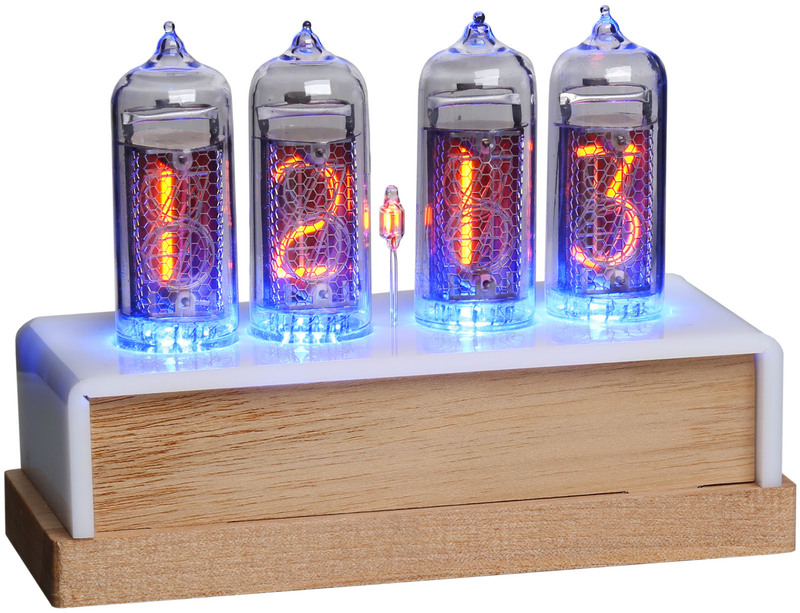 With four Soviet era IN-14 nixie tubes and a white acrylic and wood base, this clock looks great in your office, bedroom or kitchen. If you've wanted a nixie clock but have been put off by the high price, this is your chance to get the timekeeper that you know you'll love. Great nixie clock. A bit smaller than I thought but looks good. Just missing better instructions for the setup. Looks great and works well. Had to read setting instructions a few times amazing how many functions two buttons can have. Just plain cool. In a jam room full of tubes amps this clock is perfect.